The Relentless Reader: It's Literary Blog Hop Time! It's Literary Blog Hop Time! I love this event right to smithereens! I'm sure you do as well. Who wouldn't? A chance to win free books? Sweet! From Judith's blog: ...if you’re giving away a book, it should have some literary merit. It does not have to be the most difficult classic ever, but please no romance, urban fiction or YA. Quality thrillers, poetry and non-fiction are fine, as are contemporary fiction, literary fiction and any other genres not in the categories above. 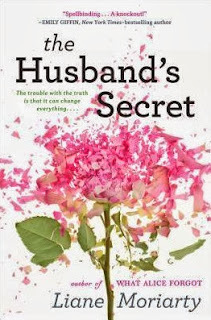 As you can see from the photo/link above I'm giving away a copy of The Husband's Secret by Liane Moriarty. Want to win it? Of course you do! This will be an insanely easy giveaway process. I'm asking that you leave a comment on this post and click the button on the Rafflecopter widget that says you did so. This giveaway is for United States residents only. I apologize to my international friends. You know I adore you but until I win the lottery I won't be able to afford to ship books your way! You know, that title would NEVER draw me in... but the fact that you loved it makes me want to read it! Oooh, this sounds like a terrific read. Yay! This one has been on my TBR! Thanks for the giveaway! Thanks for the giveaway! I've seen this book around and would love to win it. I want it because you say that it is great! 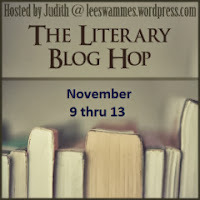 I'm so happy that the Literary Blog Hop is back. Thanks for this book, a very inventive story from a seasoned pro. I'd love to win a copy. Thanks again. Oooh, I hope I win. This is on my TBR list! I've been wanting to read this one for a while! :) Thanks for the giveaway. Been hearing about this one and would love to win it! I've read a few reviews of this book and it sounds very good :) Thank you for the chance to win! This has been on my wish list for a while... thanks for the giveaway! Love the easy peasy giveaway! I have a U.S. address, so I'm going to enter. Thanks, this looks like a wonderful book. I just checked this out on Goodreads. It sounds thrilling. I'm now wondering how I haven't heard of it before. Thanks so much for the chance to win it! The book sounds really intriguing! Thanks for the giveaway!! Eeeek! This book has been lingering on my TBR list for what seems like so long. I don't know why I havn't pulled the trigger on it yet. I am pretty sure I looked a lot like your gif when I saw the book! PS, whats the secret? No, don't tell me. Wait, wait, do. No... don't. Ugh! This books sounds really interesting. Thanks for the chance to win a copy! Woohoo! Love this event indeedy do! I've heard nothing but fantastic things about this one! I have been wanting to read this one. Thanks for the chance to win it! I'm pretty sure I've read something else by this author. Would love to win this one! Thanks for doing the Hop. I couldn't pull it together to join in this time around. Hopefully next time! Thank you for offering this book in your giveaway. I read What Alice Forgot by Liane Moriarty last week when I realized I had it and had yet to read anything by this author. What a wonderful book it was. The author's writing style and character development was a large part of that. So I cannot wait to read The Husband's Secret now. Thank you! Hey, I'd like to read this. thanks. I'm Beth in Rafflecopter above but google calls me techeditor. I've heard great things about this book!!! You do make it so easy! I've read great reviews of this book and have yet to get my hands on it (my own fault). Thanks for this opportunity! The book sounds great! I've been wanting to read this and have been thinking about buying the ebook version. But actual book would be better!